Carol continues to inspire us all with her active involvement in her community! These days, Carol is working on fundraising events for the Lunenberg Historical Society (Vermont) and Top of the Common Committee. She also plays the organ at her local Methodist church. Have fun, Carol, and good luck with all of your many projects! We were moved to receive a message from Jim that pays tribute to the late Jack Hapenney, who was a longtime Bridgton Academy employee along with his wife, Sally, who passed late last year. Jim reports that, with Jack’s help, he was fortunate to become the first All-American in the history of Norwich University Hockey (1909 – present). Jim is a member of the Norwich University Hall of Fame. Congratulations, Jim—we know Jack would be as proud of you as your Bridgton Academy family is! If you are ever down in the New Haven area, you may just run into Bob Axtell, who is currently a professor in the Exercise Science Department at Southern Connecticut State University. Bob recently authored two chapters in a first-edition text published by the American College of Sports Medicine, entitled Exercise Testing and Prescription (2018). This past year, he was also the co-author of five research articles that have since been published in a variety of peer-reviewed journals, including Medicine & Science in Sports and Exercise; Plos One; Journal of the Prevention of Alzheimer’s Disease; Journal of the Geriatrics Society; and Journal of Molecular and Integrative Physiology. Bob is now working on his newest research project, The Efficacy of the LaxPrep: Lower Extremity Injury Risk Reduction Program in Collegiate Lacrosse Athletes, which concerns Division I male and female lacrosse athletes. Congratulations on your many phenomenal accomplishments to date, Bob, and best of luck as you work on your newest project! On May 17th, Chris was officially promoted to Commander of the U.S. Pacific Fleet during a ceremony held at Joint Base Pearl Harbor-Hickam in Hawaii. 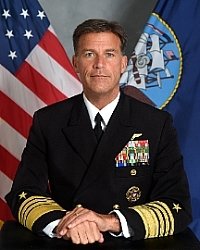 Chris is now the fleet’s 36th commander since the establishment of Pearl Harbor Headquarters in 1941. Prior to this extraordinary appointment, Chris served in numerous fighter squadrons with the United States Navy, including assignments with the Ghost Riders of Fighter Squadron 142 and the Black Aces of VF-41. He also commanded the World Famous Red Rippers of VF-11, Carrier Air Wing 2, and Carrier Strike Group 2. His deployments in service of our country include Operation Deny Flight, Enduring Freedom, and Iraqi Freedom. When he is on land, Chris’s duties involve serving as an adversary instructor pilot, Special Assistant for Weapons Systems and Advanced Deployment in the Office of Legislative Affairs for the Secretary of Defense, and Executive Assistant to the Commander of the U.S. Fleet Forces Command. After completing his year at Bridgton, Chris attended the United States Naval Academy, graduating in 1984 with a degree in physics. He then went on to flight training, earning his wings in August 1986. Chris eventually went on to graduate from Navy Fighter Weapons School (TOPGUN), the Joint Forces Staff College, and the Harvard Kennedy School’s Executive Education Program in National and International Security. We congratulate Chris on this outstanding achievement and thank him for his continued dedicated service to our country. Kevin is currently the director of the Portland Arts and Technology High School (PATH) in nearby Portland, Maine. 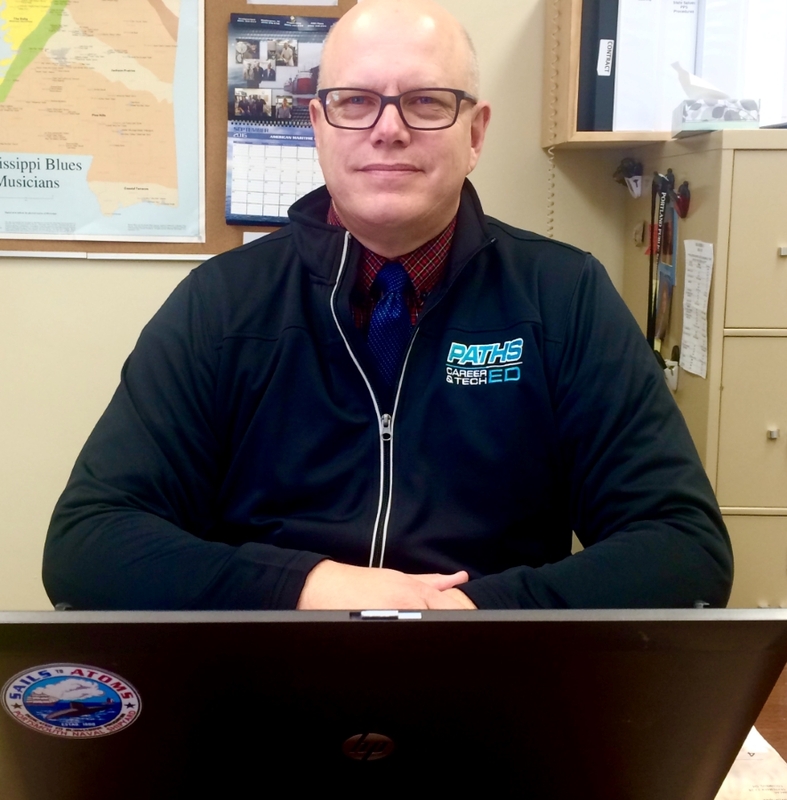 After his graduation from Bridgton, Kevin earned his degree from the University of Maine and went on to study at the University of New England, from which he earned his master’s degree in education. PATH is a member of Maine’s network of career and technical education (CTE) schools. Well done, Kevin! Congratulations are in order for Jon Gale, who clinched the primary election on the Democratic ticket for Cumberland County (Maine) District Attorney! After his graduation from Bridgton Academy, Jon went on to earn his degree in philosophy from Colby College in 1990. He continued his education at the University of Maine School of Law. Jon will face off against Randall Bates (Republican) and Jonathan Sahrbeck (Independent) in November. Best of luck, Jon, and congratulations on your many remarkable achievements to date! If you have a hankering for seafood and happen to be in the Bourne, Massachusetts area, stop on in and say hello to Jason, Co-owner of American Lobster Mart! Do you find yourself ever cozying up in front of the television after a long day? If so, then you may have spotted Casey Hendershot, who is an actor and stuntman who has performed in movies such as Jumanji and Get Hard as well as the television series Westworld. To learn more about Casey’s fascinating journey to Hollywood, please check out the “Meet a Wolverine” (p. 18 – 19) section of our Commencement 2018 edition of Bridgton Academy Today. Congratulations on all of these fabulous accomplishments, Casey, and keep up the great work! Chris reached out to share his heartfelt memories of longtime Bridgton Academy educator Sally Hapenney, who he credits with making his enrollment at Norwich University possible. Chris currently works on the Defense Innovation Board of the Office of the Secretary of Defense. Thank you for sharing these memories, Chris—we know Sally would be so proud of you. Best wishes for continued success! 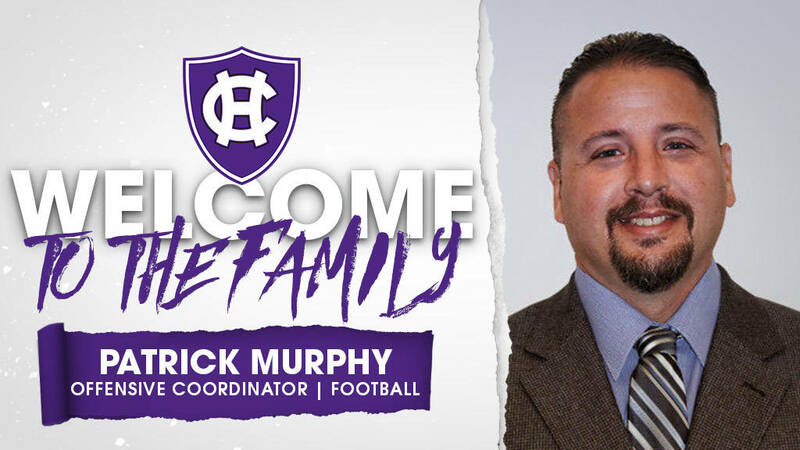 Congratulations are in order for Patrick Murphy, who was recently named the new offensive coordinator for the College of the Holy Cross’s football team! Patrick — who has over two decades of experience in coaching — most recently served as both the run game coordinator and coach of the running backs and slot receivers for the past two seasons Tufts University. Additional experience includes several years as the head coach at St. Anselm College, which followed a number of years working on the coaching staffs of Harvard University, Bryant University, the University of Massachusetts-Lowell, and Dracut High School (Massachusetts). Congratulations, Patrick, and best of luck in your new role! Recent Bridgton Academy Hall of Fame Inductee Stephen Baldassare, School Resource Officer and Head Hockey Coach at Danvers High School, was honored with the prestigious National Law Enforcement Officer of the Year award at the Veterans of Foreign Wars Massachusetts convention. Way to go, Stephen! 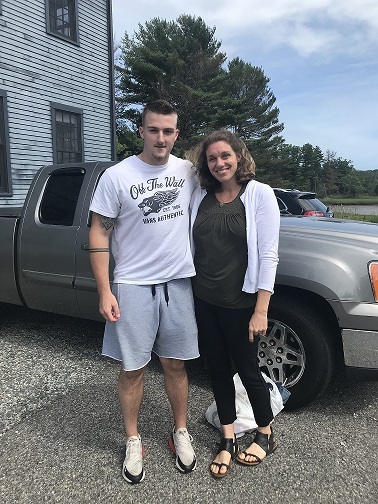 If you’re looking for Scott, you may wish to follow the budding wrestling career of his young son Luke, who has clinched four consecutive New England wrestling titles and gone on to compete at the national level, with Scott and his wife by his side as his number-one supporters! It sounds like a busy albeit exciting time—have fun, Scott, and best wishes to Luke for continued success! 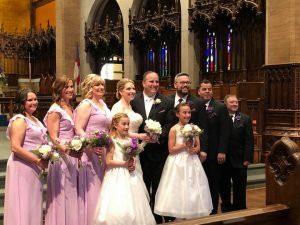 We learned that David and his wife, Lexi, currently live in Braintree, Massachusetts, where David is a physical education instructor and basketball coach at Raynham Middle School. Your students are lucky to have you, David! Best wishes to Mark and his bride, Janice, who were married earlier this year! We were happy to hear from Josh, who reports that he and his family recently moved to San Diego, California, where Josh continues to serve his country as a serviceman in the United States Navy. Best of luck on this newest adventure, Josh, and thank you for your dedicated service! Peter reports that he is a police sergeant in Ridgewood, New Jersey. Peter is married and the proud father of three children. Great to hear from you, Peter, and be safe out there! We hear that Dave is enjoying life raising his family in Connecticut and still cherishes the memories he made at Bridgton, particularly the ’96 football team. In fact, he is quoted as saying that that year’s team was the “best collection of guys” that he ever played with, including Pop Warner football through four years of collegiate lacrosse. It sounds like life is treating you well, Dave—best wishes to you and your family! After proudly serving as a member of the Bridgton Academy Board of Trustees for twelve years, Chris completed his final term of board service in June. He and his wife are currently expecting their first child—a girl—this October. We wish Chris and his growing family all the very best and thank him for his dedication to his Academy! We are very excited for Andrew, who recently completed law school and is preparing to take the bar exam! Andrew plans on practicing white-collar litigation. Way to go, Andrew, and good luck! We are incredibly proud of Skyler, who is a master’s candidate in voice performance at the University of Colorado Boulder campus. In 2013, Schlenker earned his bachelor’s degree in dramatics and theatre arts from Ithaca College, where he played varsity football for the Bombers. 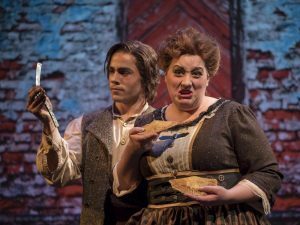 Skyler has performed in numerous productions and was the winner of the Anderson Voice Competition for undergraduate singers at Colorado University Boulder. Skyler’s impressive performance resume also includes studying Italian language and Italian arias in Urbania, Italy, where he worked with the “Si Parla, Si Canta” program directed by Benton Hess. Congratulations on all of your many phenomenal accomplishments to date, Skyler—we can’t wait to see the many successes yet to come for you! It was great to see Thomas back on campus earlier this year! After earning his degree in exercise science from Hartpury College in Gloucester, England, Thomas accepted the position of women’s rugby coach at Bishop’s University in Quebec. Well done, Thomas, and thanks for visiting! It’s an exciting time for Robby Campbell, Assistant Strength and Conditioning Coach of the NHL’s St. Louis Blues. Congratulations, Robby, and best of luck! 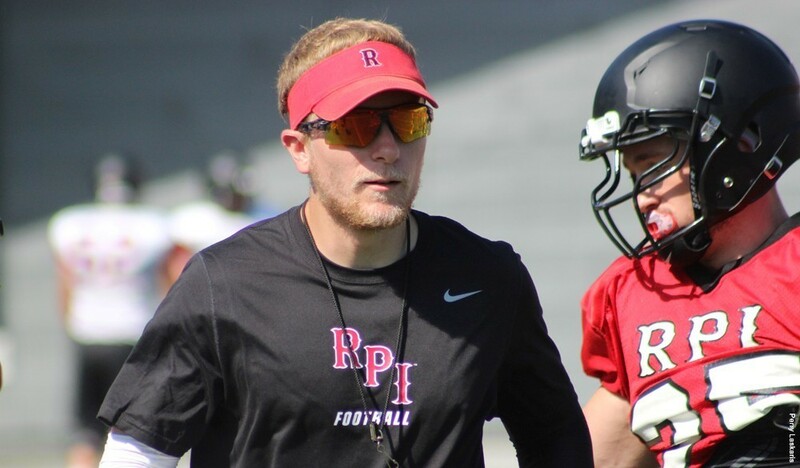 We are proud of Nick, who we learned is now the offensive coordinator for the Rensselaer Polytechnic Institute (RPI) Engineers. Following his graduation from Bridgton, Nick matriculated at Saint Anselm College, from which he earned his degree in communications in 2015. Later that year, Nick joined the RPI football program. During his time as a student-athlete at Saint Anselm, Nick was a wide-receiver on the school’s Division II football team. Prior to joining the Engineers’ coaching team, Nick coached wide receivers at a variety of camps and clinics, including the Elite New England Football Camp in Massachusetts and the Paul Pasqualoni Football Camp at the University of Connecticut. Way to go, Nick — keep up the great work! We are excited for Zach, who is the proud owner of his own high-end furniture company, Zipschnitz Furniture & Design. After his graduation from Bridgton, Zachary matriculated at Lafayette College in Pennsylvania, where he studied architectural and engineering design. He went on to apprentice at the Custom Furniture Company, Fine Arts Furniture Inc. in New York City, where he further developed his craft before attending the Chippendale International School of Furniture in Scotland. Zachary and his team — who have had their work exhibited in Edinburgh, Scotland; London, England; and in the Scottish Parliament—now create “high-quality custom furniture that meets all of our clients’ needs and exceeds all of their expectations.” Congratulations, Zach, and keep up the good work! It’s an exciting time for Abel, who recently moved to Philadelphia, where he is teaching in the Philadelphia School District. Congratulations, Abel, and best wishes for continued success! Congratulations to Joe, who graduated from Endicott College in May 2017 with a degree in criminal justice! Keep up the good work, Joe—we wish you all the best as you start this next chapter in your life! We are proud of Michael, who recently became a licensed realtor in Masschusetts. He primarily focuses on properties in Cambridge and Somerville. This fall, Mike will complete his final season with the Pace University Setters, along with fellow Bridgton alumni Prince Unaegbu ’14 and Jhalen Bien-Aime ’14. The Pace squad currently features six Bridgton Academy Wolverines. Good luck this season to our Setter-Wolverines, and congratulations Michael on this exciting new chapter! We send our very best wishes to Tyler, who recently enlisted in the United States Navy. Good luck, Tyler, be safe, and thank you for your service! Fresh off of his senior year at Lesley University (Massachusetts), Jeff proved a force to be reckoned with on the mound. A pitcher for the Division III university’s baseball team, Jeff holds the record as the program’s all-time leader in appearances and saves. Jeff appeared in over sixty games during the course of four seasons—nearly all (with the exception of two) were relief appearances. Beyond the mound, however, Jeff’s loyalty to his team was unparalleled, which is in line with his goal of ensuring that he always has a team-first approach. In fact, he could sometimes even be found driving the passenger vans to games and practices, collaborating with the school’s athletic department to ensure the vans were ready to go and that directions to fields and meal stops were arranged ahead of time in an effort to make team travel as efficient as possible. His coach shares, “Without him, we’d be lost in some areas.” You continue to make your BA family proud, Jeff—keep up the great work! Jack continues to make tremendous strides toward his entrepreneurial goals, and we couldn’t be happier for him! 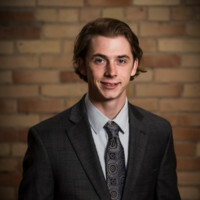 Most recently, Jack competed in the 2018 MWest Challenge, a student-venture-creation competition designed to foster cross collaboration between students from numerous universities throughout West Michigan. Jack, who represented Grand Valley State University and was the team leader of the Guerrillaz Firm (Broomstick Jacks), proudly clinched second place in the Idea Pitch category. Guerrillaz Firm (Broomstick Jacks) aims to earn profits by helping collector shops connect with firearm collectors across the nation through the establishment of an online network and directory. Jack graduated from Grand Valley State University in April with a degree in entrepreneurship and marketing. He is currently a Business Innovation Analyst with VentureSource. Keep up the great work, Jack, and best of luck as you continue to work towards your dreams! It is an exciting time for Chris, who was drafted by the Pittsburg Pirates (round 14) in 2017! Chris, who is making his mark as a left-fielder for the West Virginia Power (parent team of the Pirates), also had the opportunity to compete in Major League Baseball’s spring training earlier this year, where he went up against the Red Sox’s Brandon Workman while wearing #97 for the Pirates. 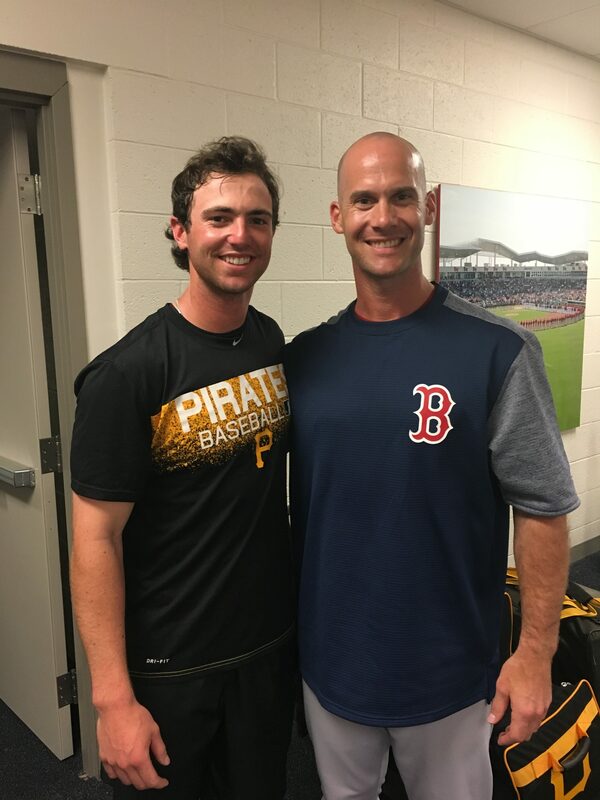 It was during this match-up that Chris ran into one of his former Bridgton baseball coaches, Dave Bush, who is now a pitching analyst with the Red Sox. Way to go, Chris! Joey continues to thrive as a student-athlete for Rutgers University’s Division I basketball program. 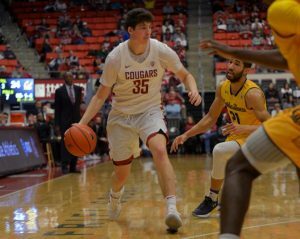 He shares that his decision to choose a Division I program over a Division III program — the latter of which would have offered more playing time to Joey — was one that allowed him to fulfill his dreams of playing Division I basketball. In fact, Joey’s role as a scout team player is one that has been critical to the success of the Scarlet Knights. 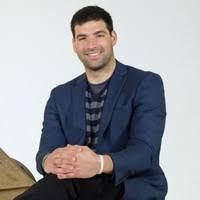 Along with mastering his own team’s plays, Joey must also thoroughly learn the opposing team’s plays—a task that offers him unlimited access to the minutiae of hundreds of hours of game tape. Keep up the great work, Joey! Congratulations are in order for Harrison, who signed with the North Shore Navigators of the Futures Collegiate Baseball League earlier this year as a catcher for the team. Harrison is one of only two players — the other signed this year as well — in the history of the team to hail from a school located in Arizona. 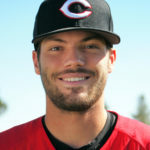 Harrison is currently a student-athlete Cochise College in Douglas, Arizona. Way to go, Harrison! We are happy to learn that Carter continues his journey as a basketball student-athlete — an adventure that has now taken him across the country as he seeks to find the best fit to satisfy his academic and athletic goals. After his graduation from Bridgton, Carter enrolled at High Point University in South Carolina — a Division I school that was eager to have Carter join their basketball program. The following year, Carter chose to enroll at Chipola College in Mariana, Florida. From there, Carter signed with Vincennes University, a move that would take him back to his home state of Indiana. Prior to the official start of the season at Vincennes, however, Carter was recruited by the coaching staff at Washington State University, where he has since gone on to be a standout on the court, including 51 three-pointers in a combined 379 minutes of play. Carter plans on majoring in either sports management or business. Way to go, Carter, and best of luck! Prior to entering his junior year at Hoftsra University, Kyle is returning to Maine to play for the Sanford Mainers of the NECBL as a left-handed pitcher—an experience that will allow him to work once again with his Bridgton coach, Aaron Izaryk, who is also the general manager of the Sanford Mainers. Best wishes for a great season, Kyle! After nearly a decade of dedicated service to Bridgton Academy, Carol retired from the Bridgton Academy Board of Trustees in June. We thank Carol for her loyal commitment to Bridgton and wish her much happiness in retirement! We congratulate all of our Bridgton Academy alumni who graduated from college this spring and send our best wishes to each of them as they embark on their newest adventure! Good luck, gentlemen! 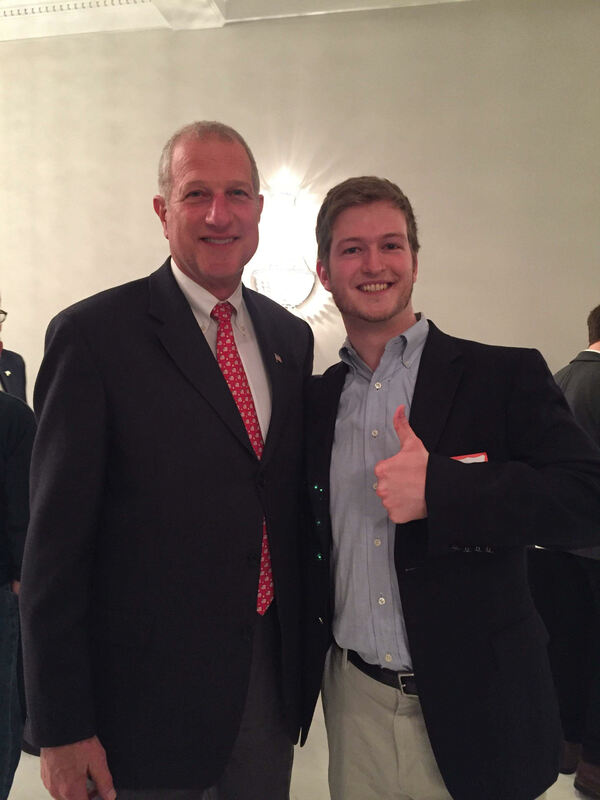 It was fun to see Mark Lauretti ’73 (left) and fellow Connecticut resident and BA alumnus Mike LaPorte ’13 (right) connect at an event earlier this year as Mark continues his 2018 gubernatorial campaign in his home state. Nice to see you, Mike! Good luck, Mark! We were delighted when Bob Fritz — a.k.a. Coach Fritz—stopped in for a visit this winter! Coach Fritz was a math instructor and Bridgton Academy’s hockey coach from 1960 – 1961. After Bridgton, Bob went on to study at the University of Maine (Orono) and Duke University. He would later teach medical science at Emory University in Atlanta as well as in Milwaukee before retiring in Maine just a few years ago. 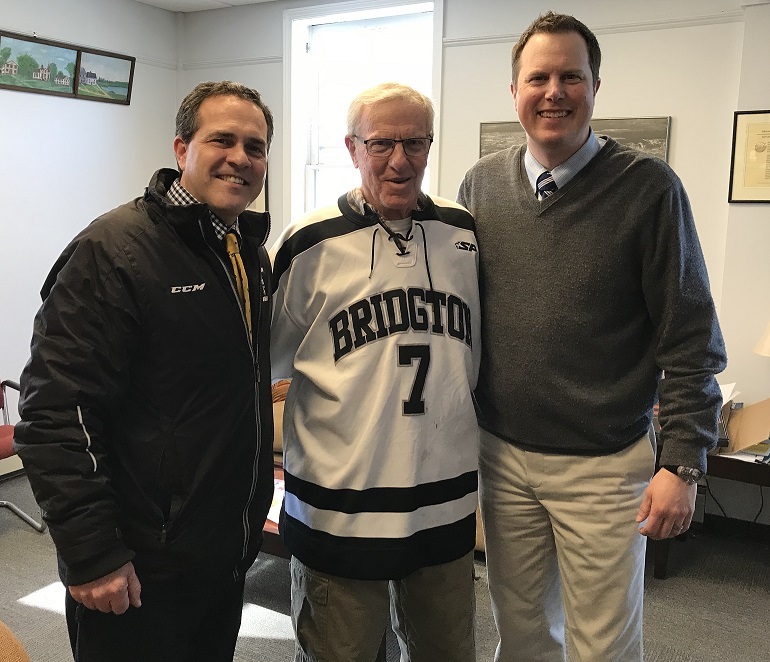 Coach Fritz’s visit to Bridgton marks his first trip to campus in over fifty years. Thank you for stopping by, Coach! Here, Coach Fritz (center) is pictured with former Bridgton hockey coach Mike Warde (left) and Chris Webb, Chief Enrollment and Advancement Officer (right). 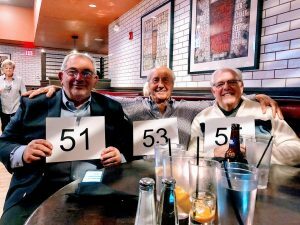 It looks like three of the Class of ’65’s finest linemen enjoyed a great night out earlier this year! 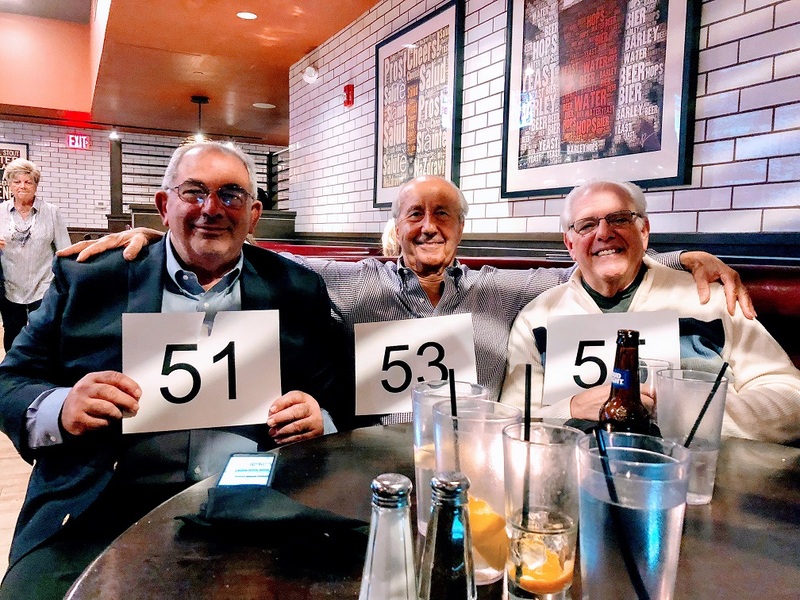 Holding their respective jersey numbers, pictured here are Tony Chinappi ’65 (left), Alex Moschella ’65 (center), and Barry Schlosberg ’65 (right). We’re so glad to see you all back together again! Bridgton Academy hits the high seas! 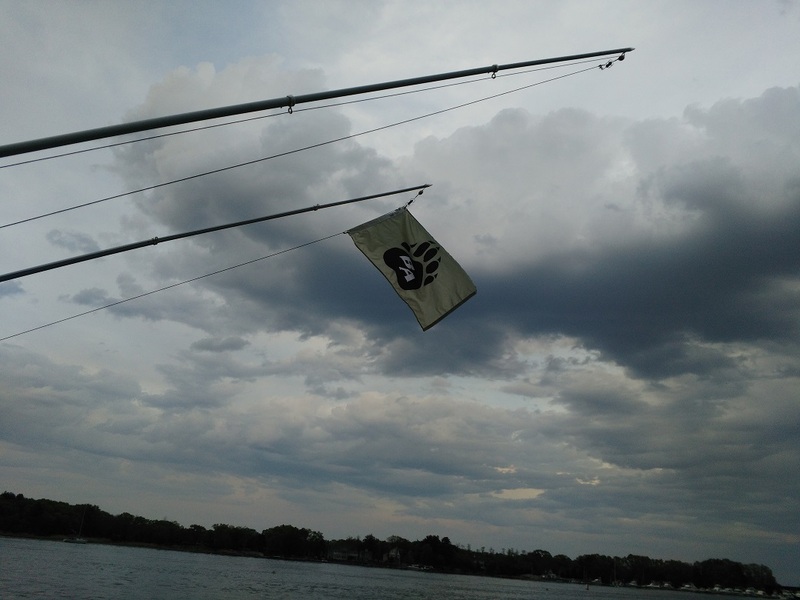 Adam Foley ’83 proudly displays his Academy’s flag on his fishing vessel based in Salisbury, Massachusetts. Thanks for representing your Academy, Adam—here’s hoping you land the biggest tuna out there! There is nothing like Wolverines helping each another—especially when they don’t even know they are doing it! 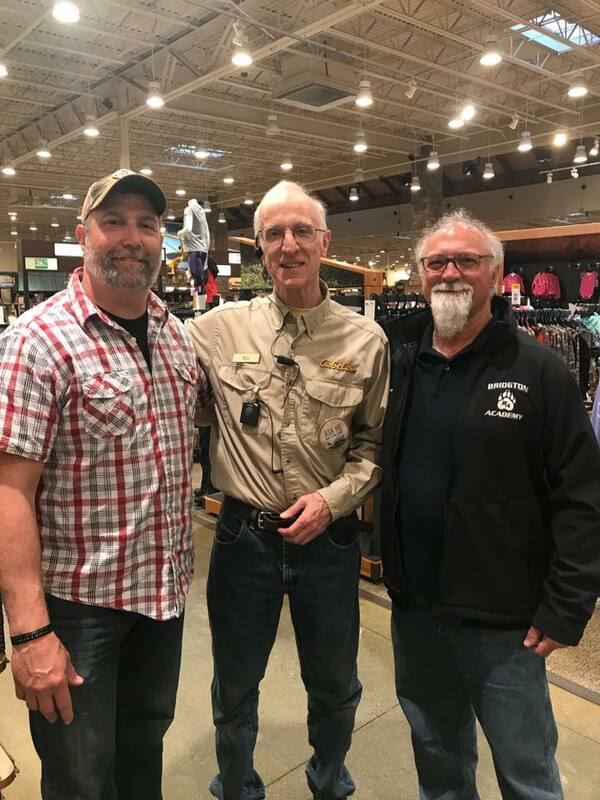 Mr. Mike Meserve and Mr. Tom Washburn, leaders of the Bridgton Academy Wolverine Program, ran into Bill White ’71 in Cabela’s as they sought out supplies for the incoming Class of 2019. Great to see you, Bill, and thanks for your help! Bridgton Academy is currently accepting nominations for its 2019 Hall of Fame Class! If you know of alumni or friends of Bridgton Academy who have distinguished themselves in their chosen profession or community, make sure to let us know! For more information and to complete the nomination form, please click here. (Link to doc.) The 2019 Bridgton Academy Hall of Fame induction ceremony will be held in Chalmers Ice Arena on Sunday, April 28th. Additional information will be forthcoming. We are sad to announce that Mrs. Betty Dyer, a long-time and retired employee of Bridgton Academy, passed away on May 11th. In 1969, after twenty-five years at home raising her family, Betty began her career at Bridgton Academy as the School’s Office Secretary, one of only twenty-five employees at that time. Betty tackled everything she did wholeheartedly and is described to this day by many who worked with her as “a gem.” Additional roles that Betty took on during her tenure at Bridgton included overseeing the admissions process each year and serving as a licensed notary public. She eventually became the Secretary to the School Headmaster, first to Mr. Richard Goldsmith, then to Mr. Bob Walker. Upon her retirement, Betty received the Ray T. MacDonald Jr. Distinguished Service Award, which honors the meritorious service of Bridgton Academy employees. Just six years after Betty began her employment at Bridgton, her daughter Susan joined her in the Academy’s main office. The two worked side by side on many occasions until Betty retired in 1993, always maintaining their professionalism. Throughout her life, Betty was actively involved in her community wherever she lived. This included board service with the Women’s Educational and Industrial Union, the Songo Garden Club, and the Saco PTA; for 33 years she was Treasurer of the Naples Scholarship Foundation. As part of the Naples Health Council, Betty organized a polio immunization clinic. She also helped with a refugee resettlement program, providing the necessary support for an Ethiopian family to successfully integrate into the American culture. Betty was a docent for the Portland Museum of Art, and in 1997 she was presented the Community Volunteer Award from the United Way of Portland. In 2013, Betty was inducted into the Bridgton Academy Hall of Fame for her years of dedicated work to the Academy. A memorial service celebrating her life was held at Twitchell Memorial Chapel on May 26th.